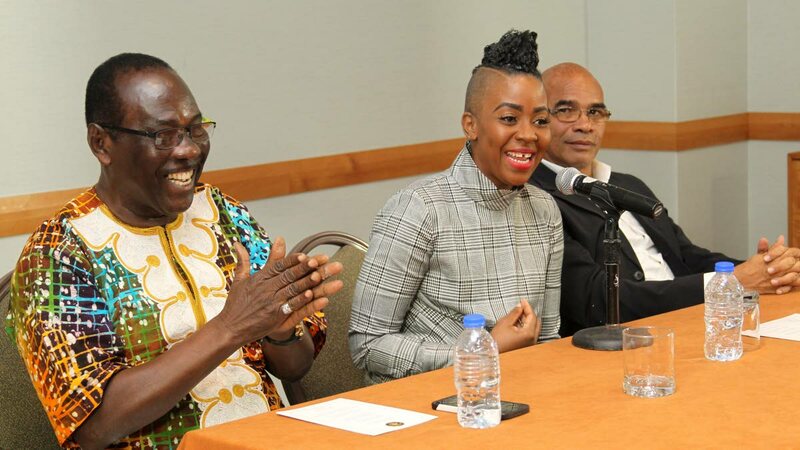 FAY Ann Lyons-Alvarez, the newly appointed chairman of Caribbean Prestige Foundation is aiming to provide a million dollars as the first prize in the power soca category. She is also proposing a $500,000 purse for the groovy category. This proposal was put forward at a two-hour briefing held on Monday night with artistes and other stakeholders at the Queen’s Park Savannah. Lyons-Alvarez told Newsday, “Neither the groovy nor the power ever carried the same prize structure. As everyone understands the situation with funding has a lot to do with how the money is distributed prize wise.” She said one of the things the foundation is trying to do is getting the power soca prize money to the million-dollar mark and getting the groovy monarch to $500,000. Lyons-Alavrez said that overall, the foundation needs $3 million, “if they are to make the prize unlike what it was last year and bring it back to what it was years ago when you had Machel and everybody else in the competition.” She added that the foundation was waiting on some sponsorship to come in but that the prize structure was more or less confirmed. Asked about comments by Darryl “Farmer Nappy” Henry, Lyons-Alvarez said she did not see the article but knows that he was there at the briefing on Monday night and she spoke to him about his concerns. She said she was not sure if that article accurately addressed what they discussed (the artistes and management at the briefing) or if it was something else. Nappy is calling for groovy to be treated as equally as the power category. Reply to "Fay Ann aiming for $m Soca Monarch prize"